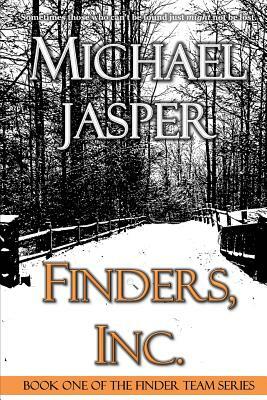 As the co-founders of Finders, Inc., Hank Johnson and Bim Mayer spent the past two decades successfully solving mysteries and-almost miraculously, in many instances-finding missing people in the remote mountain town of Boone, North Carolina. Their most recent case deals with an outbreak of missing elderly people, all of whom used to teach at nearby Appalachian State University. With the help of teammates Juan and Marly Hernandez, along with Shelby Jamiston, a sharp new private investigator Hank just hired, they soon learn that the absent old folks all have something else in common. They're all connected to a shady character with deep, dark ties to both Bim and Hank. The events of those chaotic three days in late winter will test the friendship of the two men as they-and all the other members of the "Finder Team"-risk their lives to solve this mystery and find a group of people who just might not want to be found.